1. Log into TigerWare to download. 2. Click the green Download button located underneath the Downloads for Authorized Users heading. 3. If prompted, select Save File and Yes to allow changes to be made to the computer. 4. Upon completion of the download, right click on the file and select Extract All. 5. 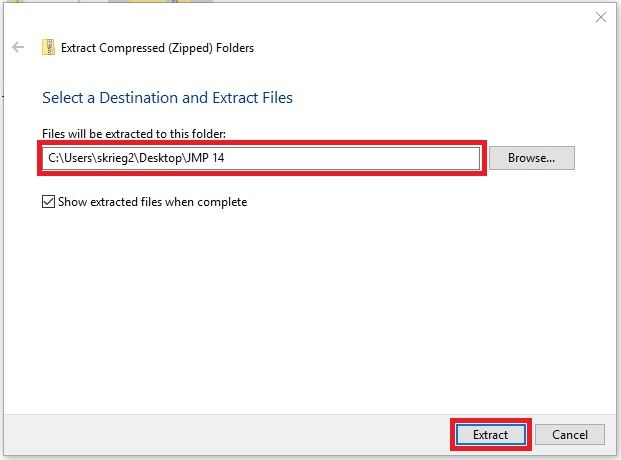 Select a destination location for the unzipped files, then click Extract. 6. Navigate to the unzipped folder and select the sub-folder titled JMP. 7. Continue double-clicking through the individual folders. 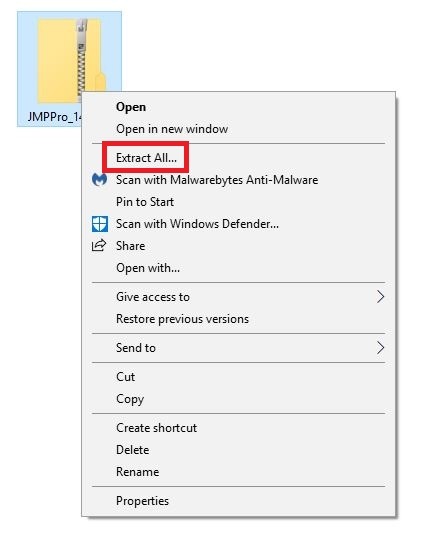 The file path will begin with the destination location selected in step 5, followed by JMP > JMP_Pro > 14_0 > Windows. 8. 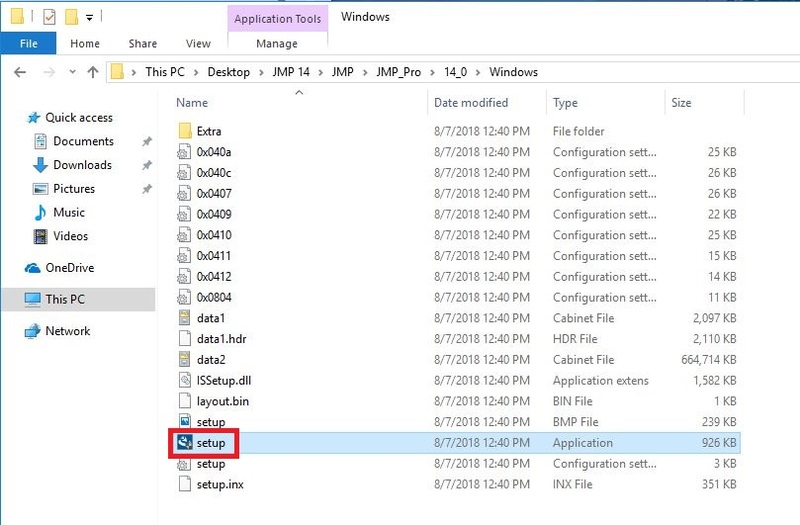 From this folder, right-click the setup application. 9. From the context menu, select Run as administrator. 10. If prompted, select Yes to allow changes to be made to the computer, allowing the InstallShield Wizard to launch. 11. Close all unnecessary programs, and select Next. 13. Select the features you desire installed, click Next. For expanded information on these features, visit JMP's Website. 14. The InstallShield Wizard is now ready to begin installation. Select Install to begin the process. 15. Upon completion of installation, select Finish to end the process. 16. 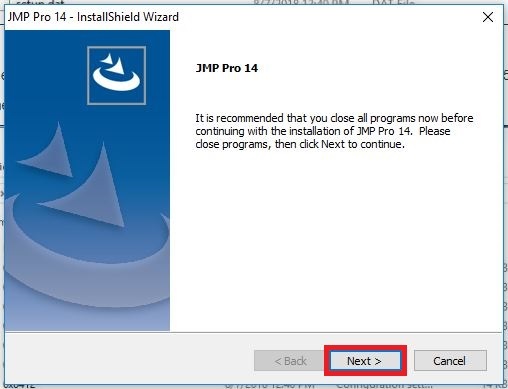 Prior to launching JMP Pro 14, you will be prompted to restart your computer. You can choose to do so immediately, or at another time. 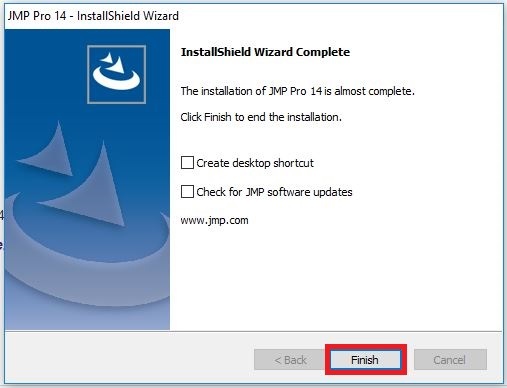 Regardless of your selection click Finish to complete the setup and close the InstallShield Wizard. 17. Your program is now installed and ready for activation. 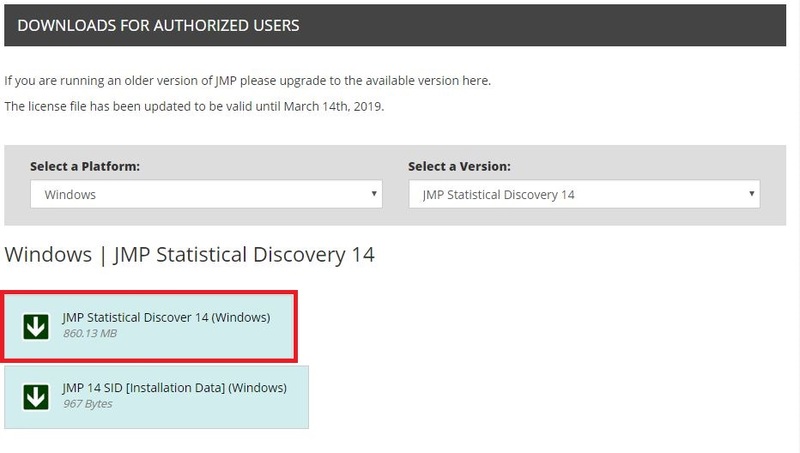 Instructions on how to activate JMP can be located here: JMP14: Activation (Windows). Referenced from JMP Statistical Discovery.